A group of Venezuelan anti-government dissidents successfully hacked into the websites of nine of the country’s foreign embassies on Thursday. The hackers, who have not been identified, successfully breached the web pages of the embassies of Mexico, Russia, Uruguay, and Argentina, where they posted messages of support of interim President Juan Guaidó. While Guaidó is constitutionally president of Venezuela, dictator Nicolás Maduro still controls the military and most diplomatic outposts, refusing to vacate the presidential palace. Responding to the calls from governments – including the Russian Federation, Mexico, and Uruguay – and recognizing our obligation to defend the rights of the Venezuelan people, officials from this diplomatic mission and delegates for the Republic of Venezuela, today on February 7 express our support for a period of transition that leads to dialogue, the re-establishment of democracy, and the delivery of humanitarian aid to our citizens that, in this case, with the support of the international community should be led by the National Assembly. Embassies in Russia, Mexico, and Uruguay appeared to have been targeted for their government’s continued support for the Maduro regime. In another message posted on the Venezuelan Embassy in Argentina’s website, hackers also declared their support for Guaidó. “Venezuelan Compatriots, I, Juan Jose Valero, Charge d’Affaires in the Republic of Argentina, today in response to the decisions of other Venezuelan diplomats in the region, recognize the National Assembly as the only legitimate body of our Republic of Venezuela and its president Juan Guaidó,” the website read. Following the hackings, diplomats at the various embassies scrambled to put out messages reiterating their support for the Maduro regime. 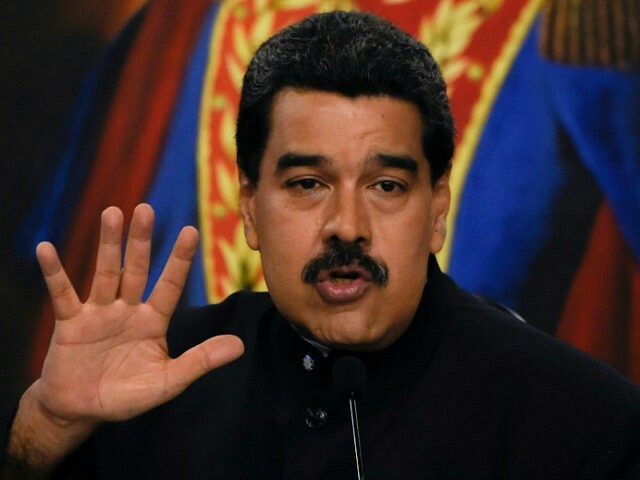 Similar hackings against the Maduro regime have taken place in the past. In 2017, a group calling themselves “The Binary Guardians” successfully hacked into the websites of the Venezuelan government, the National Electoral Council, and the Venezuelan navy. Once inside, they posted messages of support for a group of military dissidents after they attacked a military base in the central city of Valencia.